Why Would You Need An All Terrain Stroller? Unless you are a parent you probably have no idea just how important different types of strollers are. The worst mistake you can make is assuming that all strollers are the same thing, that there is no need for something like a jogging stroller or an all-terrain stroller. 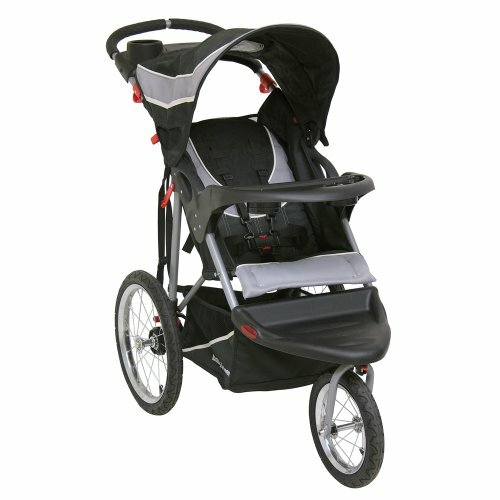 The truth is there is a very big demand for specialized strollers, including the all-terrain strollers. Parents often find that they need an all-terrain stroller because they want a stroller that they can literally take wherever they are going. Not only that but the best all-terrain stroller will grow with your child, it is one that can be used for years to come. Once you have decided that you need an all-terrain stroller, you need to know what you should be looking for. Like any other stroller out there one of the most important things to look at when picking one out is the tires. With an all-terrain stroller, you want to find a stroller that has air-filled tires, something similar to small bike tires. The reason behind this is that air-filled tires handle bumps a lot better than hard tires. The size of the wheels will also make a difference when picking out an all-terrain stroller. The larger wheels handle bumps better than smaller wheels, plus the larger wheels won’t get stuck in any cracks. Opting for one that has a reclining seat will not only allow your little one to ride in comfort, it will also help with shock absorption and when the seat is reclined it will be easier to tip the stroller backward to go over larger bumps. 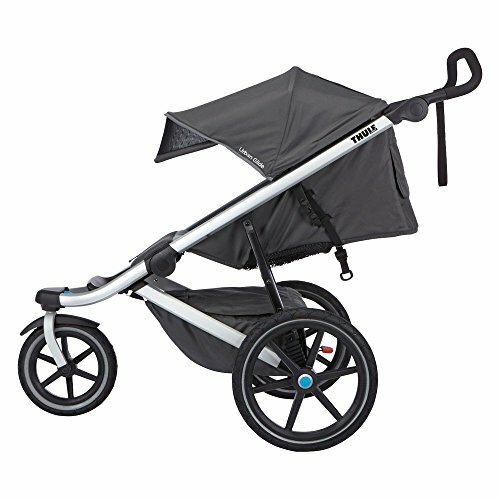 The Baby Trend Expedition Jogger is the best all terrain stroller for budget-conscious buyers. The Expedition Jogger comes with a swivel wheel in the front, which is also capable of locking in place, making it easy to maneuver on any terrain. The reclining seat can be fixed into a variety of positions and comes with a tether strap and 5-point harness for your baby’s safety. The seat must be in the reclined position in order to fold the stroller, which can make the process a little more time-consuming. The all-terrain bicycle tires make for a smooth ride, while the extra wide rubber handle makes the stroller comfortable for mom or dad to push. The option to allow the front wheel to swivel or be locked into place makes it adaptable to varying terrain. Child and parent trays that feature two cup holders each are also included. The trigger release allows it to fold easily and compactly for travel. The large storage basket underneath the stroller is convenient for all of baby’s necessities, as well as some of mom and dad’s too. The best all-terrain stroller on the market is the BOB Revolution Flex. It has everything you need, plus some things you didn’t even know you wanted! The roomy storage compartment easily holds all the necessities for baby and mom or dad. The front wheel of the Revolution Flex swivels, allowing for effortless maneuverability. It also has the capability to lock into place to give extra stability on the toughest terrains or for jogging. The Revolution Flex features a simple two-step folding system. The handlebar is fully adjustable to nine different positions to accommodate varying heights. 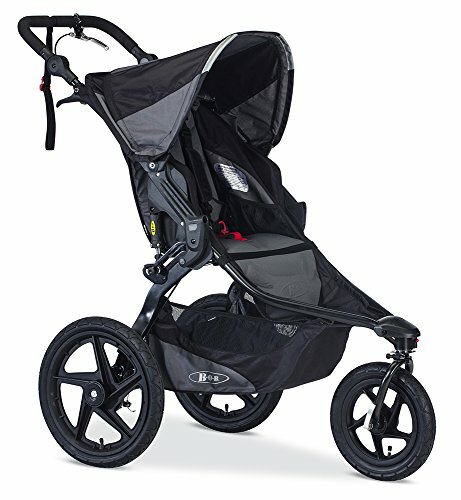 The ultra-smooth ride makes even long runs or walks comfy for baby. To give your baby a smooth and comfortable ride, the Revolution uses pneumatic tires, complete with tubes, plus it offers a padded reclining seat and an adjustable suspension system. Read our full BOB Revolution Flex review here. 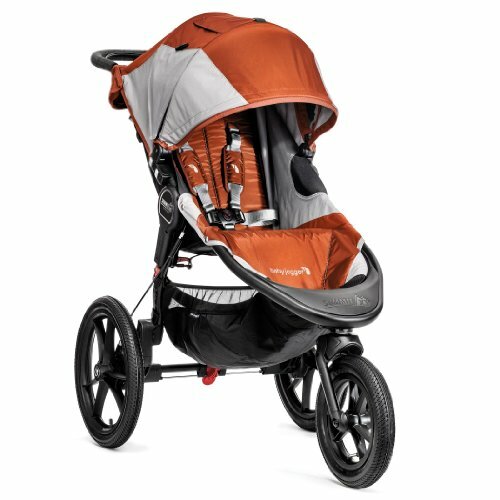 If you’re looking for the best double all-terrain stroller for the price, the Baby Trend Expedition Double Jogger is an excellent choice. 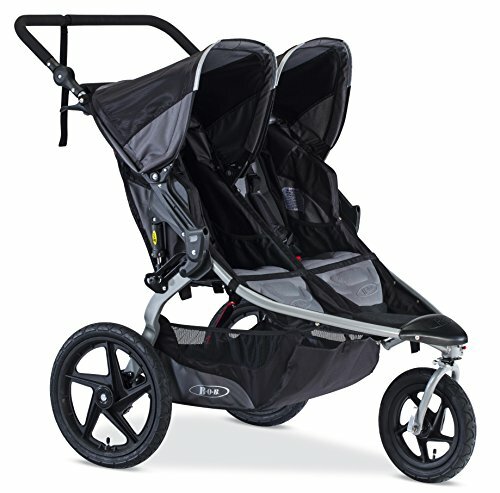 Double strollers can be heavy and bulky, but thanks to the aluminum frame on this model, handling is quite easy. The parent and child trays come with two cup holders each. The double cup holders provide a place for a drink and keys or a cell phone. A covered storage compartment keeps things from jumping around while you’re on the trail. Is little one getting sleepy on the ride? The Expedition also offers a multi-position reclining seat. The rubberized grip offers you comfort and the swiveling front wheel, that can also lock into place, offers improved stability. The BOB 2016 Revolution FLEX Duallie Stroller is at the top of the heap in the world of double strollers. 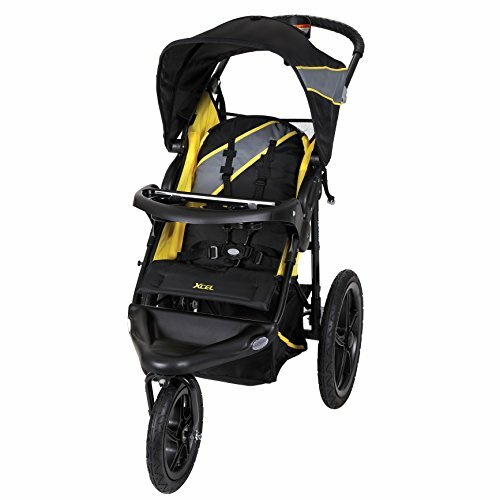 It offers everything you’d need in an all-terrain stroller and more. The padded handlebar can be adjusted to nine different positions to accommodate just about anybody’s height. The front-wheel swivel and locking options are a good choice for covering all different types of terrain. The locking front wheel provides better maneuverability and added stability. This Cadillac of strollers gives your little ones an ultra smooth ride due to the state-of-the-art adjustable suspension system. The angle of the seat can even be raised or lowered with one hand. This stroller also has the added convenience of folding up in seconds. The storage underneath is generous which is especially important for holding the necessary items for two children. The stroller does not come with a tray, cup holder, or other accessories. They are available for an additional cost. The air-filled tires can necessitate carrying a tire pump and a patch kit. 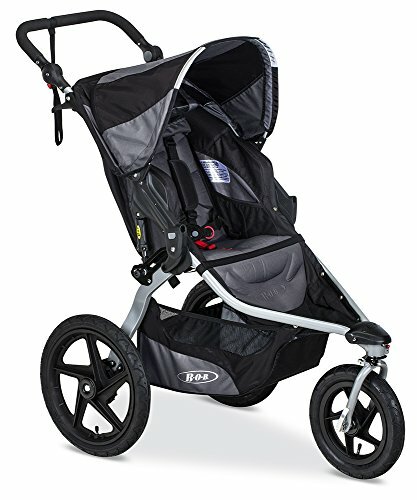 The Baby Jogger Summit X3 is a great stroller for any type of outdoor activity you have in mind. The seat is padded with venting on the top and a 5-point harness. An adjustable canopy adds some protection from the sun but has a peek-a-boo window so you can check on baby now and then. To change the front wheel from lock mode to swivel mode, you only need to flip the switch on the handle. For mom and dad, there is a wide, easy to clean grip. To carry your gear, a large basket is located beneath the seat, plus there’s a large pocket on the seat back, so you have plenty of room for everything you need. When it’s time to pack up, you can fold this stroller down to a compact size with only one hand. If you need an all-terrain stroller complete with a travel system, then the Baby Trend Expedition Travel System is by far the best way to go. The stroller comes with the Flex Lock 5-30 pound infant car seat and includes the lock-in car base. The wheels feature all-terrain tires and the push handle is extra wide for a comfortable grip. The front swivel wheel locks for stability while jogging. The front wheel can be locked into a stable position or can be in swivel mode which makes it appropriate for different terrains. The wheels have a quick-release option that makes it extra compact for travel and storage. The car seat features EPS energy-absorbing foam to protect baby’s head from side impact. There is minimal cushioning for baby in the carrier portion of the travel system. It has a tray for the parent and the child as well as a large storage basket underneath. The reclining seat has a five-point harness and can be adjusted with one hand for ultimate convenience. No matter what you plan to use your stroller for, it has to be light or you won’t want to push it. This one from Thule is one of the lightest models out there at only 23 lbs empty. But it still has all the features you want in a great stroller. The front wheel swivels easily but locks in place while you’re jogging. It has a rear suspension for extra comfort on bumpy surfaces. For the little rider, there is a reclining seat with a top vent and a large adjustable sunshade with a magnetic peek-a-boo window. Other handy features include the adjustable ergonomic handlebar, large zippered storage compartment under the seat, and the ability to fold it down using only one hand. The BOB 2016 Revolution Pro is ideal for any terrain, but the hand-activated rear drum brakes truly make it stand out for rougher areas, including the sand. The hand-activated rear drum brakes also make it extra safe for use on hills or uneven terrain. The unique state-of-the-art adjustable suspension system makes for a smooth ride, no matter where you take your little one. The versatility of the front wheel provides for maximum maneuverability anywhere you take it. Parents of any height can comfortably push this stroller thanks to the adjustable handlebar that can go in any of nine different positions. Another added bonus to the Revolution Pro is the reclining seat that can be adjusted with one hand. The large basket can hold all of the necessities needed for life on the go. There is a car seat adapter available so that the stroller can be used with infants. This stroller folds up in just seconds. It would be a great choice for frequent trips to the beach! The cost is fairly steep. It may seem awkward and bulky when folded. The feature that makes this budget-friendly stroller great for beach-going is the large bicycle tires. It has all the features that are needed in an all terrain stroller and it comes at a price that is significantly lower than other similar strollers. It’s easy to maneuver over any terrain, whether walking or jogging. Another perk to taking this stroller to the beach is the wide, cushy ergonomic handle that makes it easier to push. The seat reclines easily for sleeping little ones and the basket makes it easy to tote all those beachy essentials. It’s lightweight and folds up easily with a trigger release. 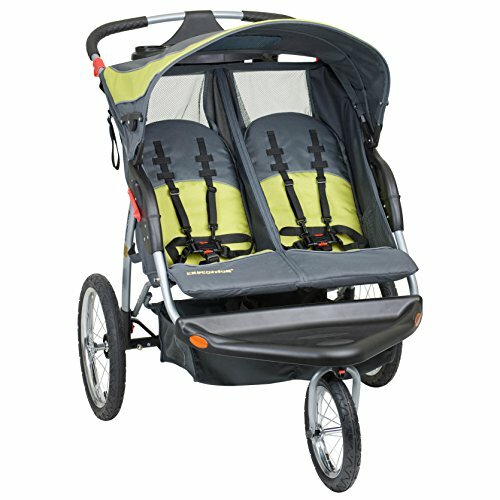 The adjustable canopy is large enough to effectively block baby from sun and wind. When it comes to picking out the best all-terrain stroller there are several different things that you will want to look for. One of the most important things to remember when picking out the best all-terrain stroller is that it features large wheels with pneumatic tires. The larger wheels are preferable as they help create a smooth ride, plus the bigger wheels won’t get stuck as easily in the various cracks and crevices you might find in the rougher terrain. Pneumatic tires are similar to bike tires being filled with air helps absorb the bumps along rougher terrain, whereas solid wheels have no give. Your best all-terrain strollers will also have reclining seats for baby’s comfort, as well as many other features that make being on the go with baby a breeze. These strollers are for a specific function, they can be used as your only stroller but they do not offer the same adaptability that a convertible stroller does. As always we would like to say thank you for taking the time to read our “What is The Best All-Terrain Stroller?” article. If you are a new parent or are just now deciding that you need an all-terrain stroller we hope this article was able to help you figure out just what to look for when it comes to picking out the best all-terrain strollers. Strollers are not something that can be purchased on a whim; they need to be researched carefully to ensure you will purchase one that will last. If you feel that you need to do more research on strollers feel free to visit our best strollers page. 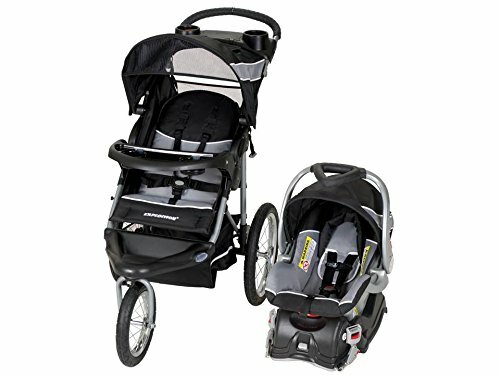 If you find that you like one of the all-terrain strollers that we have featured on this page, please follow one of our links to Amazon where you can easily purchase the best all-terrain strollers. Thanks for reading MyTinyTraveller.